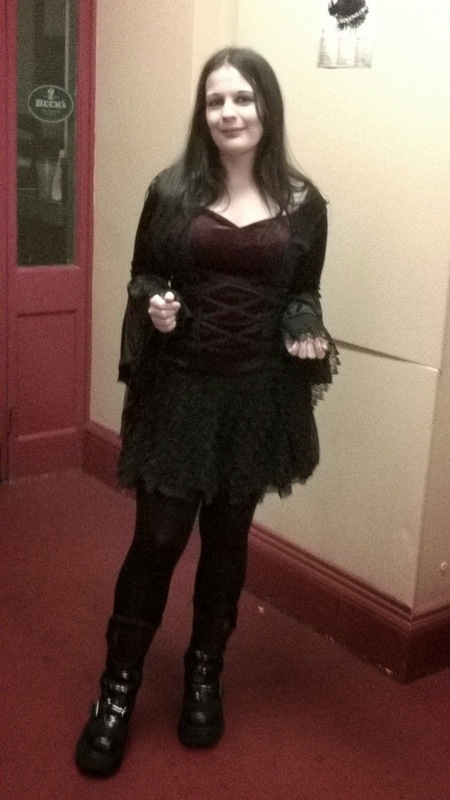 Tales From A Geordie Goth : My Journey of Alternative Fashion and Blogging. My Journey of Alternative Fashion and Blogging. The wonderful ladies from the Alternative Fashion Bloggers Facebook page; including Steffi, from Anti-Muse and Lady Nancy, from Glam Retro Style (to check out their tales click on the links). have contributed in a blogging parade. I've been promising my post for weeks, I've had other things going on meaning the blog taken back seat. Like typical me it's completed but late. I can only apologise. Personally, I consider myself a Goth, even now so at the age of 28 years old. 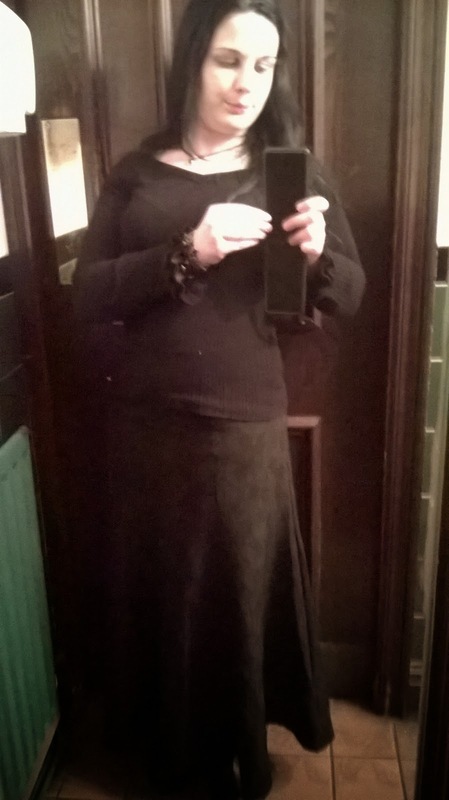 I have to confess I don’t always look gothed up but I still have my black heart and soul always lurking around. I don’t wear make-up all the time either. I tend to wear t-shirts with leggings and my DM’S for mundane days. For me, both alternative style, cultural and music all interconnected. The evolution of Goth from its day of the post-punk era has developed in so many varieties of branches of subcultures and ascetics it. I would describe myself drawn to the DIY mantra of trad goth and the simplicity of ethereal goth. 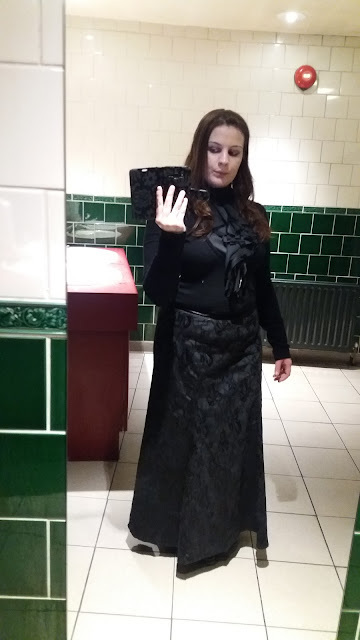 I also have taken some elements from romantic, fetish goth and even some influences of nu-goth in my outfits. I try to keep an open mind and take inspiration from everywhere. and I absolutely adore fashion designer Alexander Mcqueen. 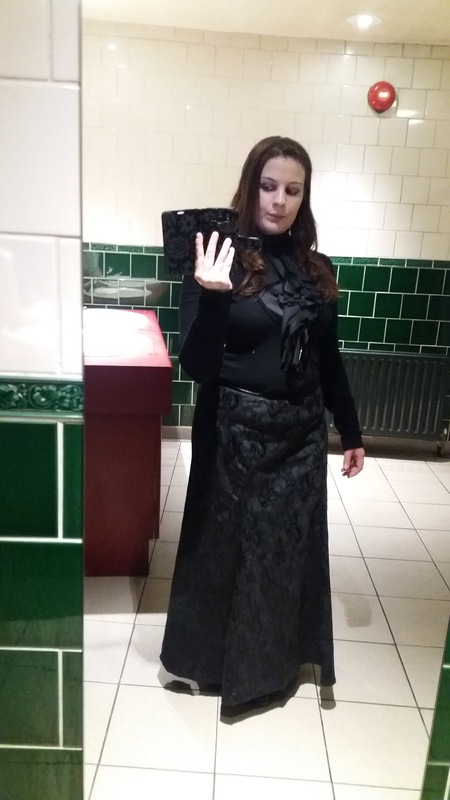 Now, most my clothing is from stuff I've had for aeons, thrifted, from Primark or sewn by me, I rarely purchase alternative clothing due to my budget constrictions and space. I find a lot of the alternative garments to be overpriced and of poor quality. Considering, I can use a sewing machine it's made me look more carefully at the construction of garments. My first contact with the alternative scene and fashion was when I became a goth in the early noughties. I became obsessed with the dark ascetic, donning black and wearing deathly white face. In my early beginnings, I knew nothing about the scene or history for me it the allure of the freedom of self-expression and non-conforming of beauty. For me, this meant being curvier and extremely pale acceptable. I found friendship and acceptance a completely different energy than I experienced at school or home. 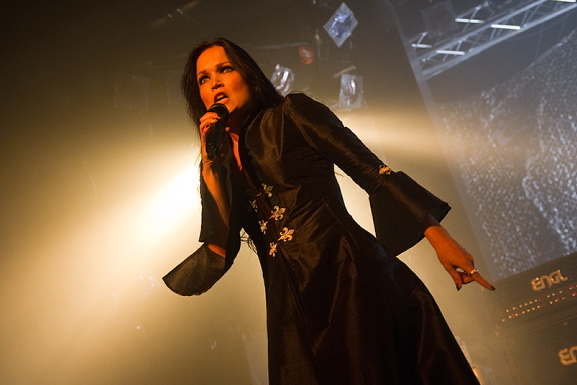 When I was 14, I starting getting more into the music and learning about the goth subculture. My styles and tastes have changed where in my teens and early twenties I mainly wore ill-fitting clothing that didn't compliment my body shape, and horrendous makeup and awful DIY efforts. Since entering my mid-twenties, I've no longer care what I look like. 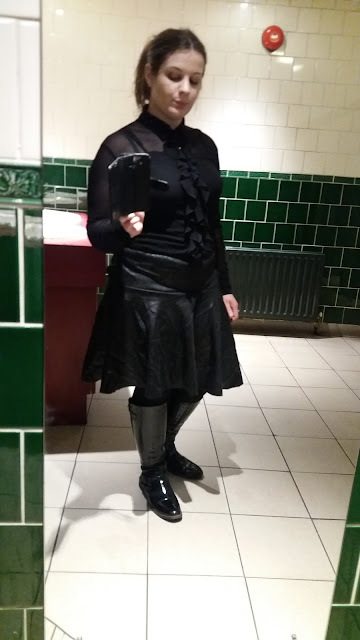 I've also found my confidence to wear more fitted clothing, shorter skirts including PVC miniskirts, despite being the heaviest I ever weighed. I always remained safe with my look and now, I've been more experimental with makeup and outfits. Also, I’ve always been rubbish at make-up, I still need further practice. I feel I'm becoming more cynical and sceptical with age, I've noticed the mainstream has an ever-present influence on the alternative scene as it finally has been accepted. The benefits of less harassment and more accessible gothy or interesting items in normal shops is nice. Intern, the mainstream influences seem to bring the issues of superficiality and elitism seems to be more prevalent. Yeah ok, it's probably always existed, I guess in all societies you always get the elitists. As more people have access to the internet which permits elitists to dictate their dogma. Another issue is the alternative scene seems to of diminished and lacking creativity, originality and genuine eccentrics, It's a shame for me everything now feels and looks all the same. Everybody seems to be in competition to outdo each other. There seems to be no cultural or substance to the alternative scene anymore where it based on the brands and looking a certain way rather than a mentality and love for the music. I came across blogging via searching the internet, I focused more on quietly reading blogs to feel more connected to the Goth scene, find inspiration for outfits and sometimes plain old insomnia . 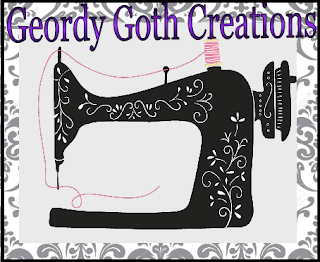 The first blogs I came across were The Ultimate Goth Guide, I loved reading this and enjoy reading about her thrift finds. Sophistique Noir, she used more normal fashion shops, focusing on quality. She always created stunning yet a simple look . I miss her blog. My favourite blogger has to be Goth It Yourself , Bane's blog is so versatile. She covers everything from lifestyle, crafting, sewing and thrifting finds. My favourite part has been following her journey transforming her house into a sophistic gothic manor. What's even more amazing is her range of DIY skills inspiring me have a go. Three years ago, I went travelling to a variety of places around the world I had considered starting my blog at that time but I didn't have the confidence in my writing skills. Part of the reason, I started blogging was to practice my writing skills. I'm dyslexic and for most of my life, I never realised or required to write much until I went to Uni. After failing my first year of uni, I started to enjoy the process of writing and wished to continue. The blog has allowed me to practice and hone my writing skills. Also, I wanted to share my ideas and experience. Surprisingly, I even found people who were interested in reading my posts, which really shocked me. So, I have kept it going and now, I'm in my second year of blogging. The journey has not been an easy one, I've experienced doubt, anxiousness and frustration. In my early stages, I was so ridiculously nervous as I had a very small following, and I watched other bloggers whose followers were rapidly expanding, while my remained a small following I doubted whether the work was worth continuing. I'm still here, now, I'm more relaxed and go with the flow of the blog. I used to think, I needed to blog about everything going on in my life and sometimes, I found I would be somewhere more interested in preparing a blogging post than taking interest in the experience. Again, I've learnt to slow down and enjoy my experiences blog if I want, if not I simply don't post it. A lot of made-for-Goth clothing these days is poor quality for the price. I don't know if my '90s Goth pieces are better quality because they made them sturdier back then (and not in a Chinese sweatshop), or because the sturdy pieces last and are therefore why the survivors are sturdy! So much stuff today is unlined when it ought be lined, doesn't use enough seam allowance, uses poor quality lace, poor quality fabric, etc. It's not good. Most of my clothes are either from charity shops or eBay. I'm so happy you share the same opinion I thought it was me. There are no alternative shops near where I live the closest of York, Leeds and Whitby. I have to depend on normal shops and charity shops for clothing. Or I make my own clothing to fit my shape, which much easier but more expensive for getting fabric but I don't mind. When I was in Whitby, I visited an alternative shop, and I was appalled at the level quality for the price as you stated many the items weren't lined made were poorly made. I know I've purchased cheap clothing tops from the Chinese eBay shops there seemed better quality and yet much nicer than some of the alternative brands. 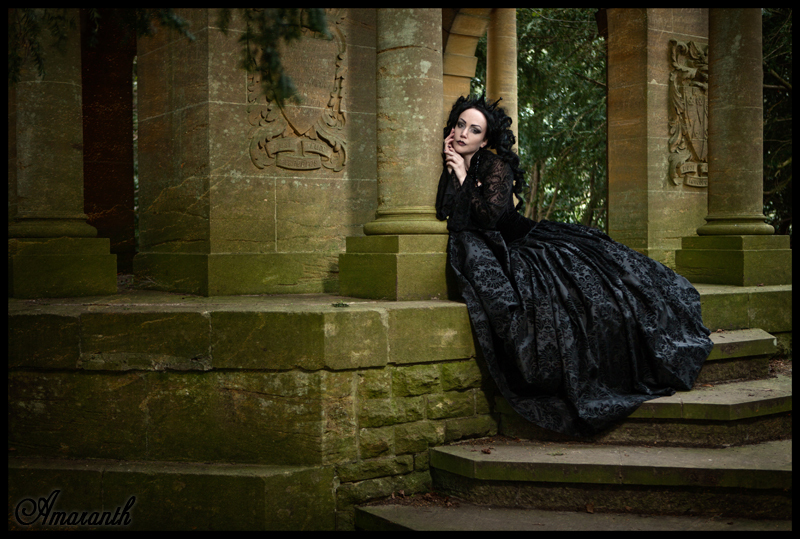 There are so few decent gothic clothing companies around anymore. I not sure if Dark Angel still going as their premises got flooded but their clothing was good quality, reasonable priced and made in the UK. My favourite clothing range is Sinister I have so many of their items. There clothing is expensive but worth the money, all the items use beautifully made and use expensive lace. 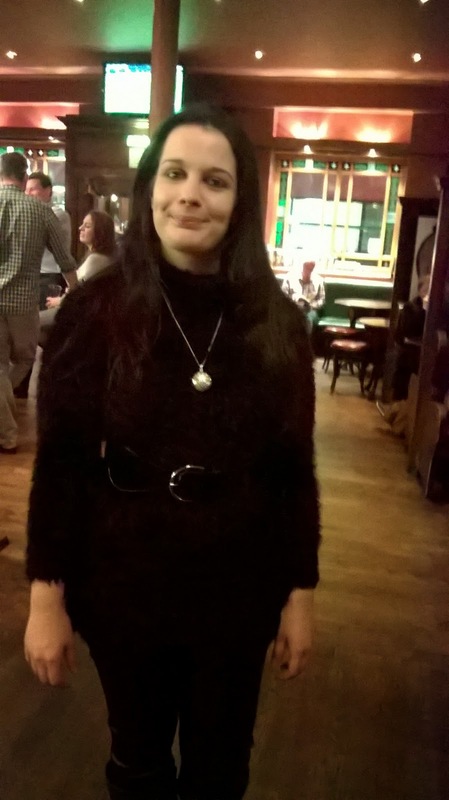 I love your blog Sarah, it's nice to read a blog written by someone local to me. It's quite sad how few alternative shops there are now, in the 80s we had Phaze and a number of alt shops in various arcades round town. We do have a superb boot shop (Scorpio) in the Grainger Market but they are quite pricey. I've also noticed the decline in quality in alt clothing - and no corresponding drop in cost. I was looking at some Hell Bunny dresses in Doc Black's the other day and they were dreadful, unlined, shapeless and really nasty material. I have some older Spin Doctor pieces (mostly from Ebay) that were beautifully made and haven't aged at all but the new stuff seems rubbish. As I'm getting older I'm preferring plainer, more streamlined stuff (even if I do inevitably look like Wednesday Adams!). I do love a Kate's Clothing Reverse Auction Sale mind you! Some good bargains there. Ah, thanks, Jane. I Love reading your blog as well it's lovely to find local alternative bloggers. I remember Tez, saying about a Phaze shop existing somewhere in Newcastle. Also, I remember the glory days of Kathmandu where they sold Sinister clothing. Every time I go to Whitby now, it doesn't feel the same anymore since Gothic Crafts closed. I've never really like Hell Bunny but a lot of alt fashion is hardly made it's beyond shocking. Even when I was down in Brighton the was limited shops but most the alt shops were selling the same stock. I think that's why I've gone back to charity shops and sewing. Lol, I've always kind of preferred more of simple aesthetic but as I get older I quite happy to try different looks. One of my friends commented I look more unusually other than normal, which was funny. I fancy going down for the Bram Stoker's event it, rather than the Goth event but that'll be next year since purchasing the house. I might pop down to Whitby just before the Goth weekend on to check the local charity shops out. I'm going down to Leeds in November for the Goth City Festival. SO, looking forward to that. P.s if you're on the hunt for Jet check out MonkeyPuzzle Gems there reasonable and have amazing pieces. It's next to Boyes. Thanks for commenting my writing I sometimes feels its not up to par. I totally agree the alternative seems to be lacking something. I tend to do things in my own way. Thanks I think most the long skirts were sewn by my me and I tend to use the same pattern. I should get a new one, I love the shape and finds it very flatering. I love the 90s and early 00's style. That's so sweet, I really can't believe people love my little bit of blog sphere. That makes feel worth it. It's weird I something I'm still really conscious, especially if their typo or mistake I'm not quite grammar Nazi but I'm really self-critical but I think that's a good thing for me. It's nice to know I come across as a down-to-earth and approachable person everybody who knows me probably wouldn't describe me like it usually crazy or away with fairies which all true. It's great to hear that many people share my feeling in regards to the alternative scene I can understand the reason for turning away from certain parts of it. It just seems to maybe go back to basics and realise it's about the other stuff . I think I've been in the scene for so long and comfortable to tell people where to go. Also, realise other you don't always have to be goth up all the time, it's not always possible. I have to admit I have a lot of Sinister stuff and yet, I rarely wear it I purchase not because of the brand but for the items where now I would be reluctant to purchase now. Then I'm on a silly budget, so I have to be careful about my money. Sinister has always been one of my favorite brands. I used to be very much into romantic / medieval trends and I loved their products. I knew what you mean about being down to earth. I try to be, I'm not false person and I don't make things up on the blog to impress people my life is quite uneventful most the time I like sharing the more interesting bits. That's cool to know you like Sinister as well, I love their stuff at the moment I'd rather be putting the money in to the house. I like the more etheral and romantic looks always have and will. I enjoy your blog very much! I do agree sometimes Goth culture gets too mired in fashion elitism rather than just an interest in the music and all that is dark and lovely! Thanks thats so sweet. As I've stated its great to know it's not just me who feels the same way. I think I'm learning to follow my own path.